Lovely 3 bedroom, 2 bathrooms, plus bonus room. Located in a quiet cul-de-sac with beautiful views of the Sierra. 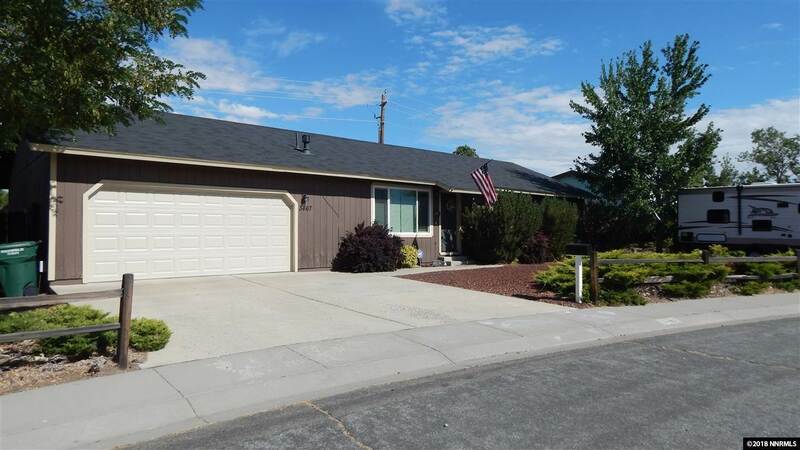 Well maintained home boasts vaulted ceilings, stainless steel refrigerator oven/stove, 6 month new washer/dryer, newer roof, RV parking, dog run, triple pane windows, laminate wood flooring. All appliances remain with the home. Enjoy a little country living, chicken and goat friendly property.